Maya has always had insomnia and for a diversity of reasons. When she was an infant my husband and I took turns sleeping with her in a recliner at night for six months because she was so uncomfortable laying down in her crib. Now at the age of nine (almost) her sleep patterns have improved greatly from waking multiple times a night for a couple of hours, to mostly sleeping until morning. The difficulty for us now is that she still wakes us a few times a night to help turn her, take her to the bathroom, help her blow her nose etc.. In these cases she often goes back to sleep but we don’t. It’s a routine of sorts that although we are accustomed to, it wears on us as a family more than I realized at times–with me snapping at Maya, my husband and others. Finally this year and after many years of interrupted sleep, Maya’s dad and I agreed to forego some of our privacy and get extra help in the evening (respite care). No, it doesn’t replace sleep but it helps us to have an extra set of hands when our energy is waning at the end of the day. I bring this up because when Maya was an infant I felt very discouraged, almost desperate for sleep and none of the new mothers I spoke to could relate to the intensity and duration of these nighttime problems. She was deemed a colicky baby with no good solutions except time. It wasn’t just about nighttime waking, but that she wasn’t a napper either. As Maya got older I saw on some of the CP social media boards that other parents were regularly posting about having sleep issues with their children and a long list of responses with “have you tried…i.e–light music, essential oils, eliminating sweets, melatonin, sticking to the same nighttime routine, a warm bath, soft music, and on and on”? without success. It was clear that insomnia was a problem many families had faced and some were continuing to face and often without great solutions. 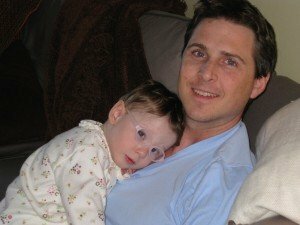 Previous postCP NOW a new 501c3—Our next step Next postStrategies for creating balance when your child has CP--It's tough! Thank you for this. I see this as an issue for us, but I can see where I would procrastinate on asking for overnight help because some nights are ok with just one or two wake ups. But it all adds up to bad sleep for the family. Thanks for sharing. 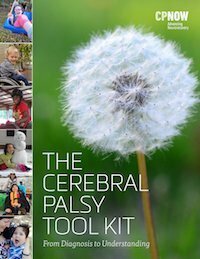 I’m more frustrated with my sons OT because he always asks why has he been up since 2 or 3 in the morning instead of understanding that this is a common problem for folks with cerebral palsy. I’m tired of explaining that it’s not just a behavior issue. There can be different reasons and I’m not able to always pinpoint the reason.